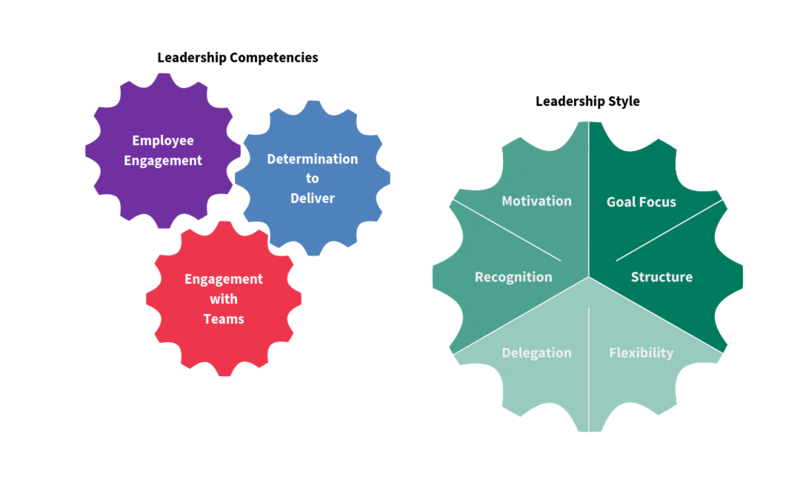 The Integrated Leadership Model is the results of a major research programme (2005) to identify a framework for assessing core leadership competencies or behaviours as well as for understanding leadership style. It is a “macro” model in that it provides users with a “big picture” perspective within which they can examine leadership. The research programme examined more than 50 leading Leadership Models in use around the world and found that all had their roots in the same elements. This is a valuable finding – as one senior academic noted “this brings order into the chaos that is leadership thinking”. The concept is also in a sense, a pure concept. It examines the essence of Leadership. Leadership is essentially: influencing, inspiring and directing the discretionary effort of people towards the achievement of important goals – doing so willingly and creating the sense of success in the short and the long term. An important outcome has been the development of a reliable psychometric measure which enables users to assess leadership effectiveness and leadership style – the ILM72. It integrates well with virtually all Leadership models and concepts. The research showed that there are three global factors which – if consistently demonstrated – were seen to generally create followership. The more these were demonstrated the more that individuals were minded to follow the leader. Determination to Deliver – having direction, a belief in achieving that and visibly focusing effort on the goal. Engagement with Individuals – ensuring that individual needs -receive attention – whether these are personal needs or work-related needs such as training or equipment. Engagement with Teams – interestingly this refers not just to “my team” but the “one team”. Those who breakdown barriers across an organisation are valued. These three elements feature in many Leadership Frameworks. They describe the behaviours that an individual should adopt in order to demonstrate leadership. This applies to all levels in the organisation. It isn’t just about those in positions of seniority. Importantly the research confirmed that these behaviours appear to need to be adjusted in light of the situation. Situational elements include skill levels and experience in the workforce, the speed of response, the complexity of the task, etc. Situational Leadership suggests that individuals adjust their behaviours according to the situation. Most tended to conform with the prevailing leadership style of the organisation – often determined by those are the top of the organisation. This has implications. In organisations, style may need to differ in different functions. Moreover, adopting a style determined by those at the top may be (a) inappropriate and (b) lead to conflict. It also explains why leadership development programmes can fail if the prevailing culture doesn’t support the application of a preferred leadership style. Usefully the ILM72, a normative measure, can be aggregated for groups to identify the prevailing or dominant style, enabling users to reflect on how appropriate it is for the organisation – and where it might be developed for a more productive approach. In 2019, AQR, together with colleagues from several universities carried out a review of the model, based on over 10,000 pieces of data, and found that the model remained fundamentally sound. Ultimately, this is not a new model. It is a distillation of 80 years of theory and practice, to produce a very accessible insight into leadership which can be used by practitioners, especially those involved in leadership development. The ILM72 brings a crucial element – the ability to assess, diagnose more effectively and measure difference – the root of evidence-based practice.